The Perfect Playground is a specialized, comprehensive out-patient therapy clinic offering high quality therapeutic services to children and adults. The therapists and staff, which include highly-skilled Occupational Therapists, Physicial Therapists, Speech-Language Pathologists, and Academic Tutors, are dedicated to providing child and family centered therapy using a multi-disciplinary approach. The Perfect Playground offers a sensory-enriched, state-of the art, therapy gym in order for each child to gain the most from the environment and achieve their goals and reach their optimal performance. Our mission at The Perfect Playground is to provide services that focus on dyslexia treatment program each child as a whole and to foster the child’s independence in all areas of development. Partnering with parents is an essential part of our therapeutic intervention to ensure carryover of the child’s progress into their home environment. 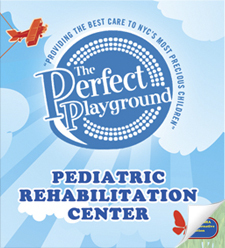 At The Perfect Playground, our therapists are skillfully trained to work with children who have a variety of diagnoses, including but not limited to autism spectrum, sensory processing disorder, cerebral palsy, down’s syndrome, developmental delays, learning disabilities, and/or visual perceptual deficits. Call for additional location updates.